Breathtaking and profound, Love Magic by Susan Barnes takes you on a discovery of how to change your life by learning how to apply love to every situation with ease and confidence. With a lively and engaging prose, this spiritual self-help guide sparks the embers of passion—to love and live wholly and completely. It teaches you how to discover your ability to heal your life and the lives of others with the incredible forces of love. By examining all that is within, Susan helps you unlock the ancient wisdoms and secret doors of your soul. You’re intelligent—you know that happiness and love are your birthright! The author offers a bevy of easy techniques, simple visualizations, and fun exercises to grab hold of joy and start to live in love now! Read this book—you can love magically and be completely lovable today! You can be more irresistible than you think! Each of us creates an energy that either draws people to us or pushes them away. The Power of Net Magic will show you how to become a person who lives and loves life to the fullest and in the process finds other people more easily drawn into their relationship ""net."" Can you really increase your power of attraction? Absolutely! And this book will show you how. Whether you are looking for love, looking to improve the love you have or just want to live life at a higher, more fulfilling level, the Power of Net Magic will help you. This stuff really works! You've probably had all the psycho-babble and self-help seminars you can stand. So this book is written to not only be helpful but practical in showing you simple things you can start doing today to improve your ability to become a ""people magnet."" The Power of Net Magic will help you not only draw relationships to you but also draw more wealth and opportunity into your net. So get ready to ""cast your net"" and see what you catch! In Write to Ignite: How to Discover Your Soul’s Purpose through Intuitive Writing, author and master coach Susan Barnes helps readers begin a journey in which he or she will be able to identify and utilize their soul’s wisdom. A profound blend of the mind’s eye and prompted journaling, this self-empowerment guide is as gracious as it is enlightening. For those readers who wish to delve into their past and present relationships, to become more spiritually attuned and, in that, more evolved, this healing and transformative guide serves as a powerful template. In seventeen chapters with titles such as “How to Connect with Your Muse,” “Touch Your Soul through Your Dreams,” and “Fire Writing,” this guide shows readers how to use their intuition through a series of guided writing exercises that pose intelligent questions while providing a space for the exploration. For one thing is certain: the soul contains treasures beyond your wildest dreams. Do you know exactly what you want from life? Have you experienced sudden change in your personal life through loss or transformation? Do you want to challenge yourself easily by confronting your inner shadow self? Are you wrestling with the great unknown? If you feel you have not lived up to your potential, or that something is missing in your life, take this soulful sabbatical. 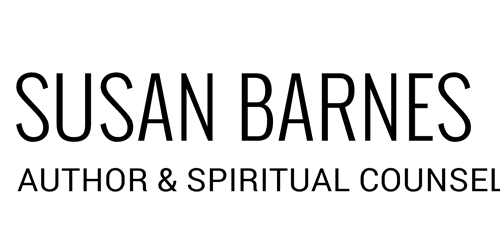 In Write to Ignite: How to Discover Your Soul’s Purpose Through Intuitive Writing, author, intuitive and master coach Susan Barnes does something unexpected. She gives you a space to trust, dream, acknowledge and grow. As Susan helps you plant the seeds, you will be inspired to discover your intuition, learn to understand and live by it. Miracles happen every day – Start the process, embrace your heart and unlock your soul. Kelly Karate meets the Mayan Queen is the story of Kelly, a Karate Champion who goes on a school trip to Tulum, Mexico to explore the Mayan Pyramids. Somehow, during the trip, Kelly and her friends go back in time when the Mayans ruled. Kelly learns that the Mayan Queen is not what she appears to be and that often real power comes in a form that's least expected. Two brave girls from different worlds. One is a gutsy Karate chamption from Oklahoma with much to overcome--the death of her grandfather and a tragic accident that leaves her in a coma. The other is Moon Princess from the ancient battle-torn land of Diamond World. Together they battle the dragons that live in a different dimension. Young girls, middle school and junior high, will love this book. It uses adventure to help find a spirit that endures in this troubled world. This imaginative adventure combines martial arts philosophy with Viking legends to create a fascinating read. It was just another school trip until Kelly stumbled upon an arctic fox in Oklahoma. Strange enough, but when the fox leads Kelly into a cave that crosses a time barrier, the year 899 A.D. is filled with excitement. Kelly and her new friends dive into a quest that is both enlightening and filled with terror!